Do you Iike the 8 bit-like game such as Tiny Tower? 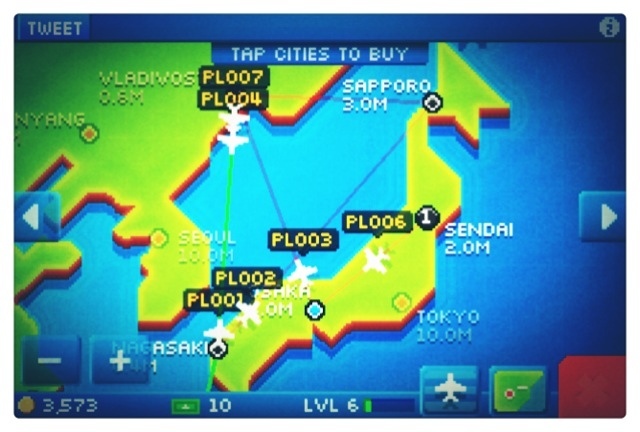 Saw my bestie Kei posted in her Path last night that the developer of Tiny Tower - Nimblebit has launched a new 8 bit game called Pocket Planes! Characters same as Tiny Tower but now, instead of managing tower, you're managing your own airport and airplanes. Unlock new places when you get enough xp and money, build planes and transfer cargos an passengers around the world! I'm so into this game now lol. Gotta thanks Kei for the intro.